Wolf Hadda’s life has been a fairytale. From humble origins as a Cumbrian woodcutter’s son, he has risen to become a hugely successful entrepreneur, happily married to the girl of his dreams. A knock on the door one morning ends it all. Universally reviled, thrown into prison while protesting his innocence, abandoned by friends and family, Wolf retreats into silence. Seven years later, prison psychiatrist Alva Ozigbo makes a breakthrough. Wolf begins to talk and under her guidance is paroled, returning to his rundown family home in rural Cumbria. But there is a mysterious period in Wolf’s youth when he disappeared from home and was known to his employers as the Woodcutter. And now the Woodcutter is back, looking for the truth—and revenge. Can Alva intervene before his pursuit of vengeance takes him to a place from which he can never come back? A stand-alone novel from the always masterful Reginald Hill, The Woodcutter is a treat that both lovers of the Dalziel and Pascoe series and newcomers to this writer’s work will devour. I told myself that I’m going to take my time over this book. Probably read 50 pages a day and I would be able to complete it in about 10 days. I read it in 4 days. 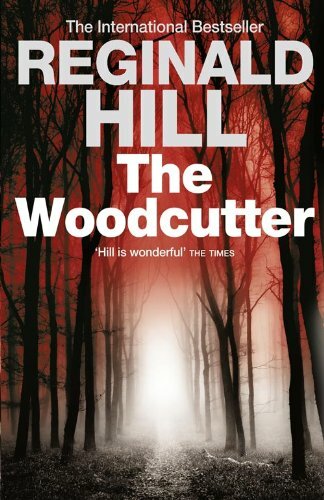 I am a newcomer to Reginald Hill’s work and I greedily devour what he offered in The Woodcutter. It’s a extremely captivating and one of the best psychological thriller I have every read. It was slightly confusing when the book started with some incidents from the past which I didn’t understand. It was only when I completed the book and go back to the beginning that I can understand what that was about (I think). While some readers might feel that this book is about revenge, I feel that it's more than that. Wolf is above revenge. He seeks justice in the way he sees fit. He seeks closure to a life he lost and most of all, he seeks answers but the answers he seeks might not be the answers he's looking for. Much as the book is about Wolf, it is also about his wife Imogen who is also a pretty interesting character. The relationship between Wolf and Imogen go much deeper than just husband and wife but readers won’t know of it until the every end. Do get hold of this book if you have the chance. You will not be disappointed. The Woodcutter will be published by HarperCollins on 1 August 2011. I review this for NetGalley.com.